Full colour personalised custom made stubby holders for your wedding, sporting team, business or corporate promotion. Prices start at just $1.49 per stubby holder. SPECIAL DEAL! Free postage Australia-wide on orders of 10 or more for a limited time! 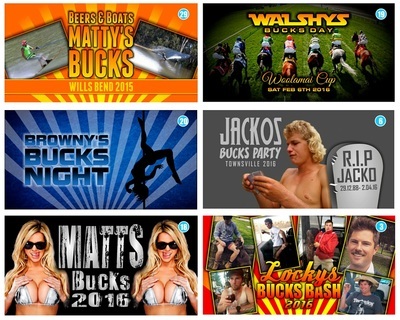 We specialise in the manufacture of custom designed neoprene stubby holders for your bucks or hens parties, wedding, sports club, corporate promotion or any other event. 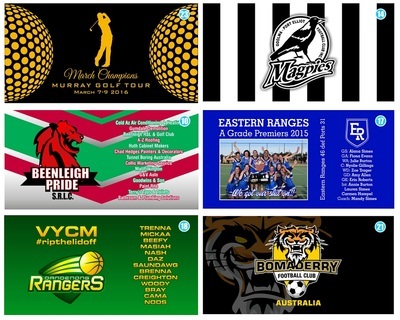 We provide free design using your own photo, club logo or business logo to take your idea from concept to finished product. We use state of the art dye sublimation techniques to transfer even the most detailed graphics, pictures and photos on to your stubby holders in high resolution, using the highest quality 5mm neoprene. Don't settle for the cheap imitations that will wear out and won't keep your drinks cold. Our Premium, Slim and Bottomless custom stubby holders are 100% made in Australia, in our Hobart workshop, ensuring premium quality and the best prices around. No order is too big or too small. Whether it is 10 or 10,000 custom stubby holders we can cater for the smallest parties or the biggest corporate promotions. We offer a 100% MONEY BACK GUARANTEE on all of our personalised stubby holders. If you are not completely satisfied with your custom designed stubby holders then send them back to us for a full refund of the purchase price. That's how confident we are that you will be happy with your Cool Stubby custom stubby holders. We have built up a huge range of stubby holder templates over the years. 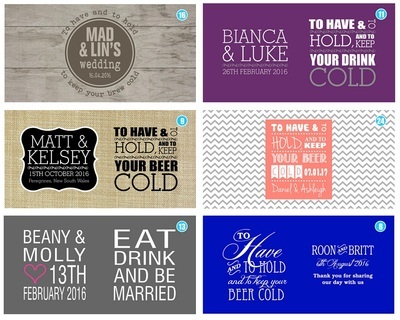 All of which can be edited by our talented graphic design team to suit your specific event. Just send us your photos, logos, text and colour requirements and we will do the rest.